When people choose their next bottle of wine, the thing they care about most is location, location, location. That's the conclusion from a new study which sought to pin down why people buy one type of wine over another. To find out, a team of researchers conducted a blind experiment with participants in Hong Kong. The new study, which was carried out by researchers from the Universities of Minnesota and Washington State, as well as Hong Kong Polytechnic University and Gyeongsang National University in Korea, was published in the British Food Journal. Researchers conducted a three-stage blind tasting experiment to measure participants' attitudes. They were surprised to find that participants cared less about how the wine tastes, and more about where it's from. 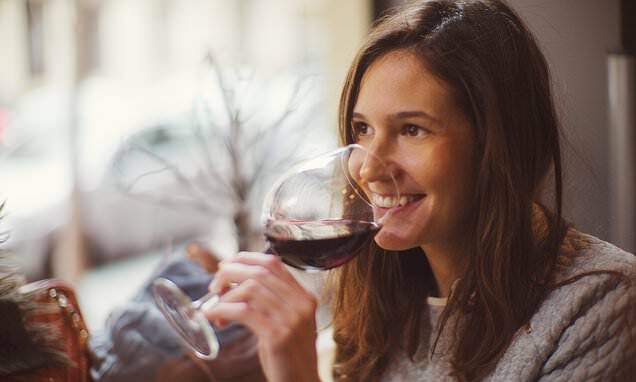 The study revealed that 'nontaste-related factors' are the most influential element for how much consumers are willing to pay for wine in Hong Kong, compared to their Western counterparts. The blind taste test was carried out in three stages, according to the paper. First, they gave participants a glass of wine without giving them any information about it. In the second round, participants were given a glass of wine after being told where it originates from. The final round involved them being given a glass of wine, along with receiving detailed information about the grape variety, region and winery of origin, before tasting it. During each tasting, participants were told to taste and rate each wine based on a select number of attributes. From there, they were also told to indicate their 'willingness-to-pay' for that wine. In each stage, participants were given six wines. Three were reds and three were whites, with similar price points and originating from five different countries and six different regions. The wine came from Western Cape, South Africa; Iowa; Rheingau, Germany; Rioja, Spain; Wisconsin and Argentina.